Vienna is, in fact, a very lively city for both young and old. 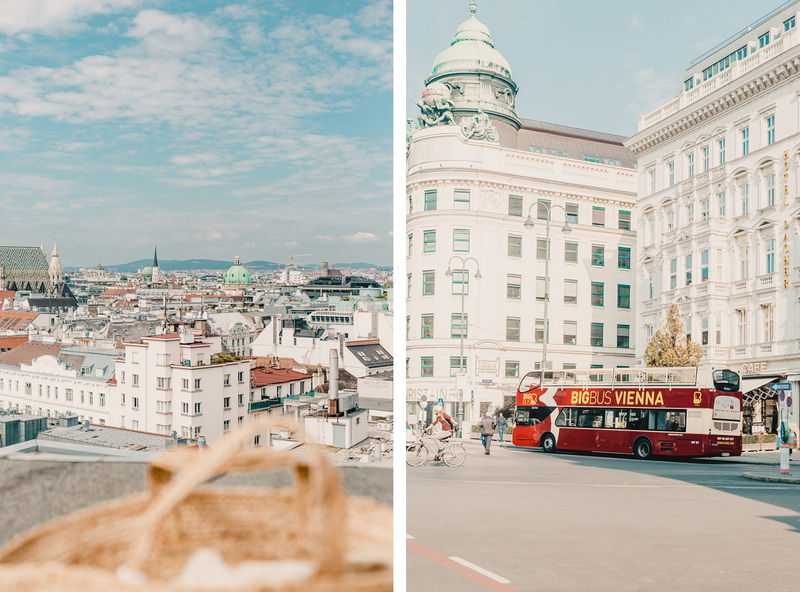 In the colder months though, there are little secrets that keep on making Vienna one of the best cities to live worldwide. 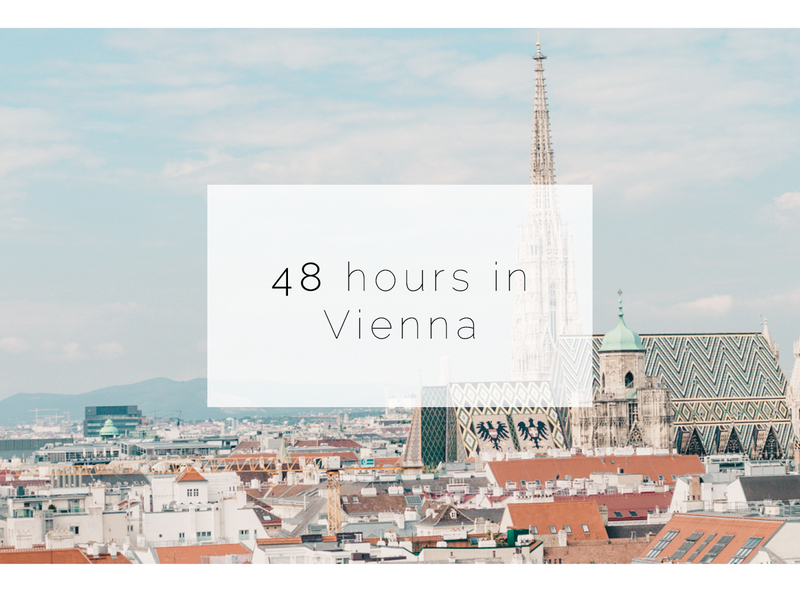 So here are some of the little secrets you should know if you are visiting Vienna for 48 hours. 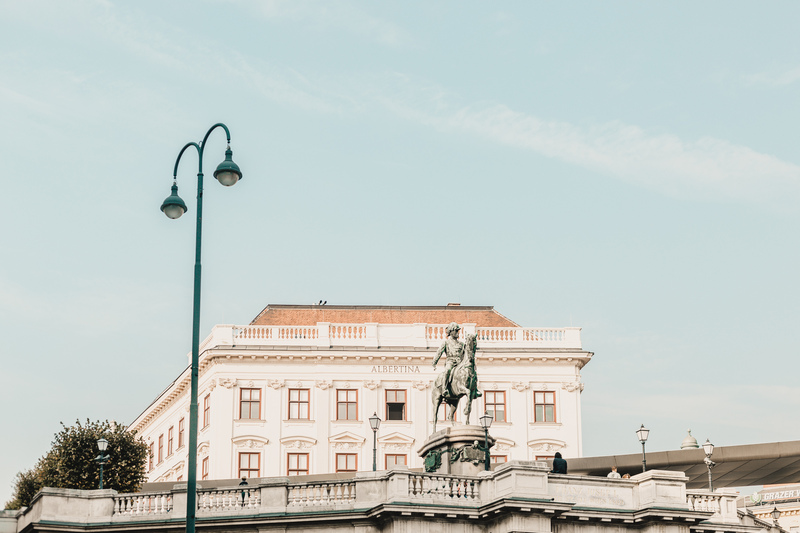 Vienna has a lot of touristic activity, hence why there is an extensive list of hotels where you could spend a night or two. Grand Ferdinand (Schubertring 10-12, 1010) is surely one of them. 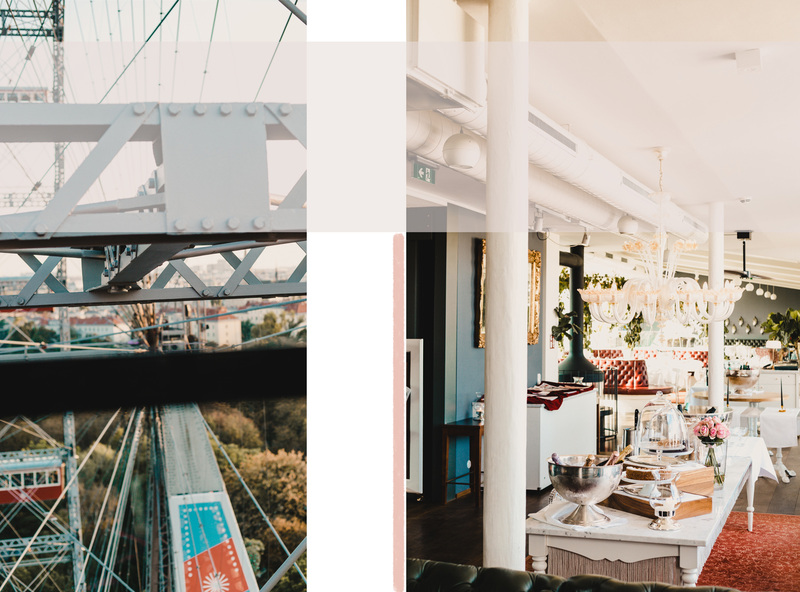 Located in central Vienna, this boutique hotel is well-known for their handmade Schnitzels at the Restaurant Schadn & Meissl as well as for the exterior pool on their rooftop (which is heated during the winter) and its beautiful view over the city. The Guesthouse Vienna (Führichgasse 10, 1010) looks over to the famous Museum “Albertina” and is definitely a great spot where to spend 2 nights in Vienna. Their rooms have a delicate modern style and their rates start at 185€ per night. The Guesthouse is also well known within locals – The extensive breakfast menu on the weekends makes the place crowded, so make sure you arrive early. The Ritz Carlton or the Park Hyatt Vienna offer a very luxurious and elegant style and are centrally located. However, if you are planning on visiting Vienna during the Christmas time, you should know that The Ritz Carlton (Schubertring 5-7, 1010) sets up one of the highest Christmas markets. Located on their rooftop, this is definitely something to note to your 48-hour list. 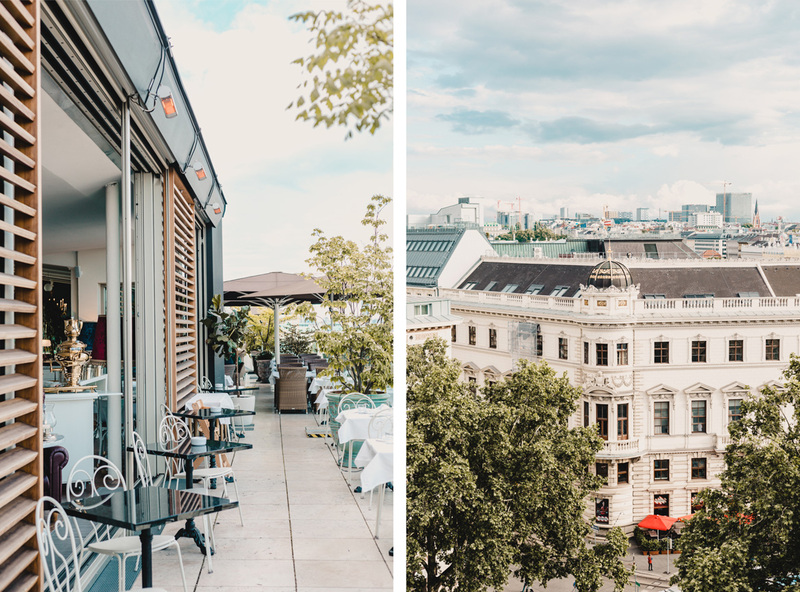 The Park Hyatt Vienna (Am Hof 2, 1010), on the other hand, offers an exclusive breakfast buffet for 37€ per person that will leave any breakfast lover dreaming. Psssssssst: In case you are looking for a one-of-a-kind living experience with a private Turkish hammam, an open bathing experience as well as an open fireplace … get in contact with us (hallo@mithandkuss.com)! This place is so special that we want it to stay a secret spot for special moments. First things first, you might want to have a good bite of the traditional plates in the city. 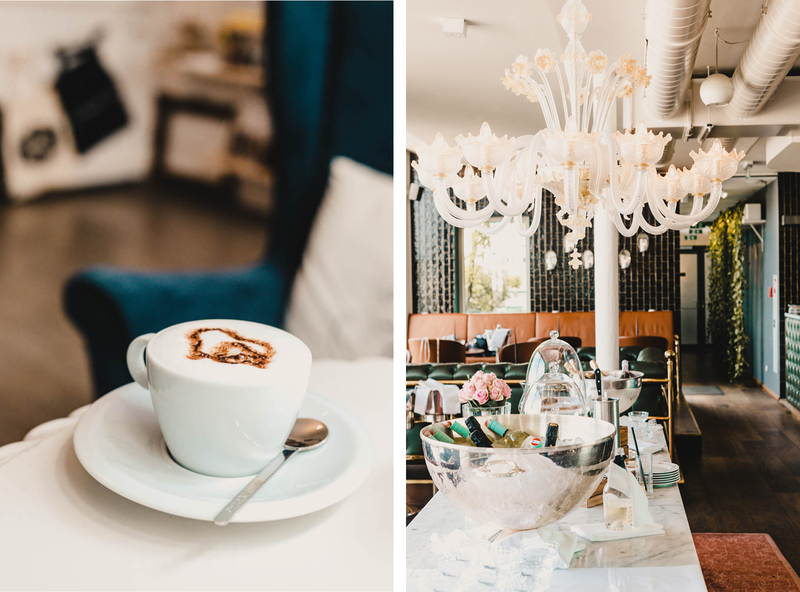 So, first of all, we would totally recommend you to start with a cool breakfast … go ahead and choose from our Best Breakfast Spots in town guide. Choose between the Summer Edition or the Fall Edition. For lunch, you could visit the Amerling Beisl (Stiftgasse 8, 1070). This is a very romantic looking interior courtyard that is kept closed during the winter and sets up magical punch drinking stations from December onwards. 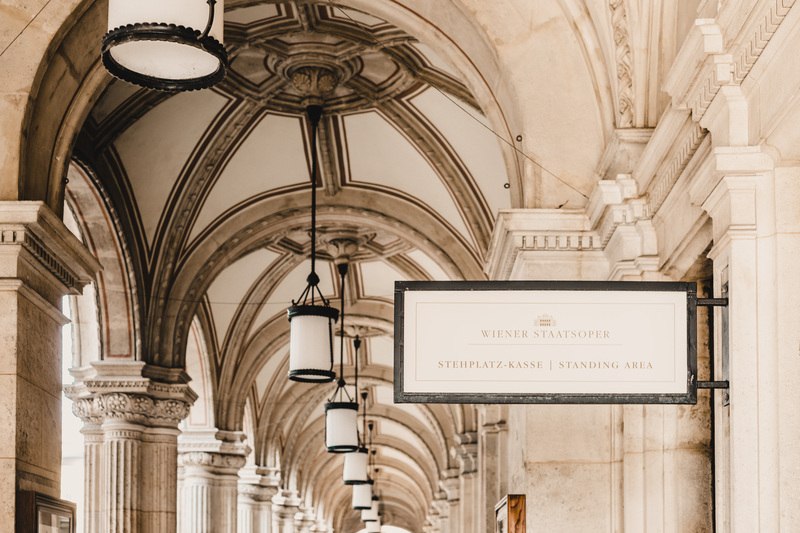 If you have the chance to visit one of the most beautiful areas in Vienna – the Servitenviertel in the 9th district – you might like to have lunch or dinner at Servitenwirt (Servitengasse 7, 1090) where you will definitely be able to taste all the traditional Viennese plates. If you are a sweet tooth, don’t miss THE Sachertorte at the most famous Hotel Sacher (Philharmoniker Str. 4, 1010) or enjoy a traditional Apfelstrudel (German for apple pie) at Café Korb (Brandstätte 7-9, 1010). So, here’s our local PRO tip for a 2×1 kind of situation: Head down to Naschmarkt at around 1 pm and simply walk down the different little food shops – every single one of them will offer you to try their specialities. So as soon as you say yes to the first person, you will instantly be surrounded by flying forks with a small bite of their own. Walk down both isles and enjoy the different smells and colors. 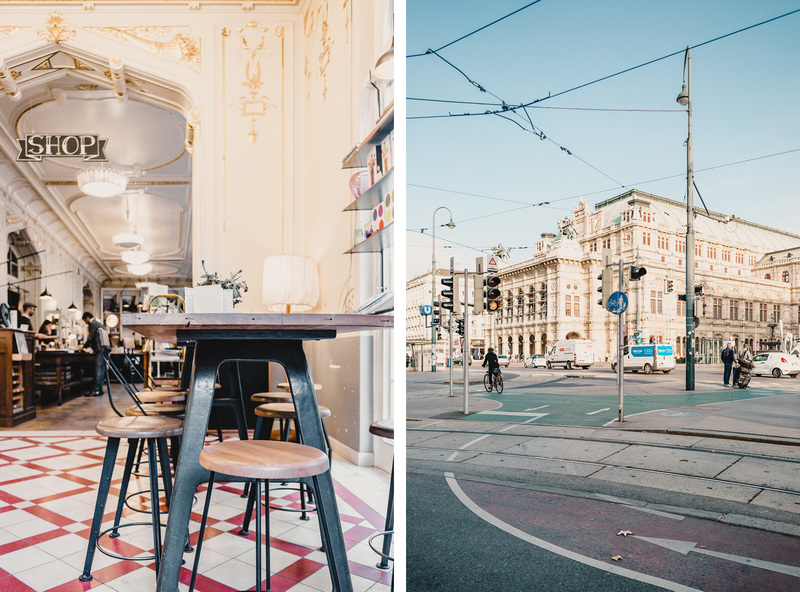 At the end of the market, you can cross one of the most touristic spots in Vienna off your list and head over to your next visit (with a full tummy!). Vienna, as well as any other big city, has some beautiful views and, therefore, there are many spots in town where you can go to enjoy a late-night drink from the heights. 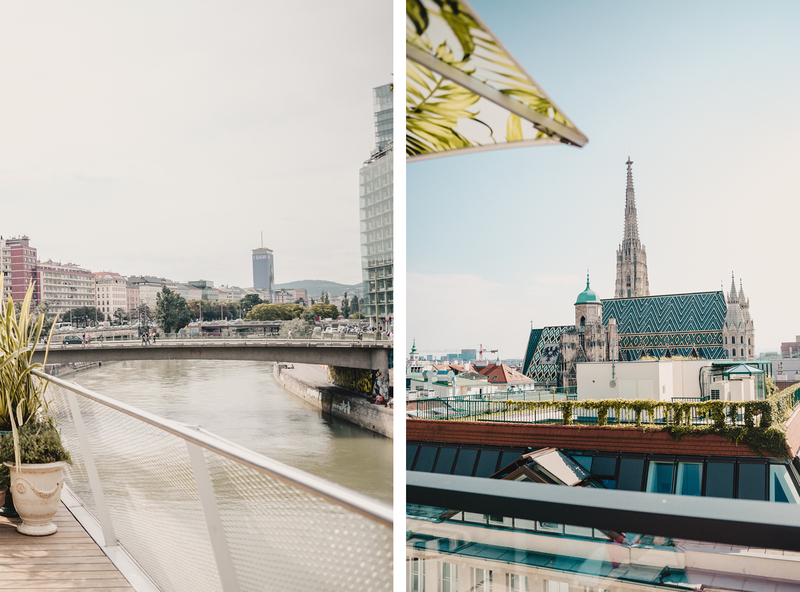 Das Loft (Praterstraße 1, 1020) is definitely one of the most outstanding experiences you can have in terms of rooftops in the Austrian capital. Located in the 2nd district on the 18th floor of the Sofitel Vienna Hotel – Das Loft offers not only an outstanding bar but also the chance to enjoy a nice dinner above the city. mitHandkuss note: Check their dress code before going and don’t forget to book in advance. Unfortunately, this is not a kid-friendly spot…! Do & Co is also located in central Vienna, opposite the Stephansdom Cathedral on the 6th floor. Ideal for those of you looking for some fancy place as well as the perfect night shot of the Viennese cathedral. Door 7 (Tür 7 – Buchfeldg. 7) is definitely another spot to add to your list. You will love this hidden cocktail bar … especially if you are a Gin lover. This bar is mostly visited by locals as an excuse for a good after work drink and it seems like they never disappoint. Excellent bartenders and drinks beyond belief are some of the reasons why. Roberto American Bar (Bauernmarkt 11-13) is another unique place where a damn good cocktail is guaranteed. This bar is very small and especially busy on the weekends, nevertheless, it matches perfectly with the Vienna vibes and you will meet people from all around the world. For more night drinks places check our Summer nights in Vienna article. Once you arrive to the Opera area, young lads dressed up in Mozart costumes will try to convince you to buy tickets from them, however, there is another much cheaper and exciting way of experiencing the whole opera adventure. The “Stehplätze” or standing places are available for the lucky people that queue up in advance before the show. The tickets cost only between 4€ – 6€ and the view is 100% central. Don’t miss it! Classic markets are always fun. Vegetables, fruits and homemade stuff are always available at Karmelitermarkt (Krummbaumgasse / Leopoldsgasse / Haidgasse, 2nd district). The most visited market, however, would be the Saturday Flea Market at Naschmarkt (Kettenbrückengasse). Note that this flea market starts at 5 am, so make sure to arrive early if you want to see it in all its glory (why not after a looooong night at one of the cocktail bars ;)) Last but not least, if you would like to make a quick cultural trip and have a little taste of what Vienna can also be like, you should definitely check out the Brunnenmarkt (Brunnengasse, 16th district). Taking the tram around the Ring is possible and definitely the best way to get to know any part of central Vienna (leaving from Schwedenplatz). This 25-minute trip will allow you to see some of the most important buildings in Vienna. 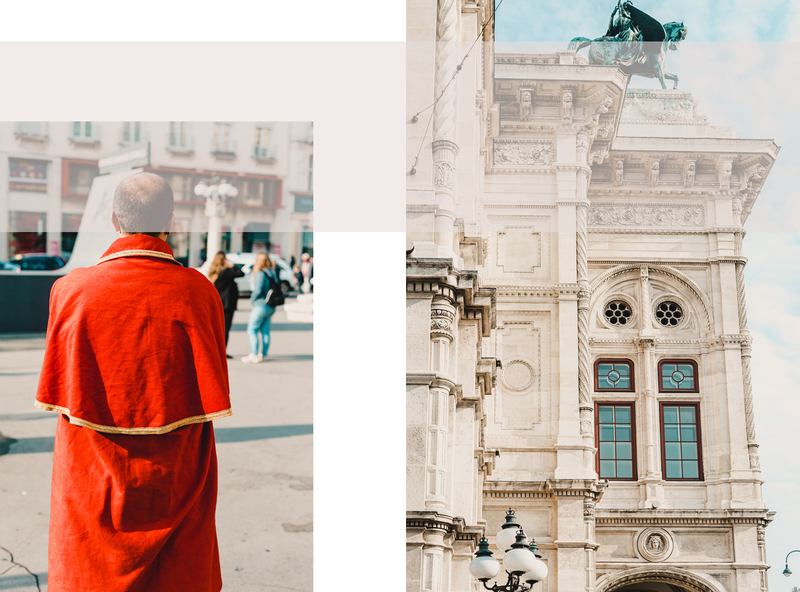 The tickets start at 9€ per person – the trip includes all types of historical information and curiosities about the city. Julius Meinl am Graben (Graben 19, 1010) goes all the way back to the 1800s when it was initially built and has now become one the very special supermarkets to visit in Vienna. Psssssst: One the first floor you also have the chance to enjoy a cup of delicious coffee including a beautiful view on the Graben (Must-Go during December!). A big part of the Viennese history starts with the Schönbrunn Palace in the 13th district. This palace and its huge garden are practically busy every day – Tourists from all over the world mix with locals who like to exercise around the parks of the palace or families that go to visit the Zoo. Wien ist angesagt – bei alt und jung. Ein Wochenende in Wien… JA! Wir haben für euch ein paar Empfehlungen, die für Leute aus der Ferne sowie für Einheimische spannend sind und vor allem Spaß machen. Gute Hotels gibt es in allen Preisklassen. Im Zentrum gefallen uns das Grand Ferdinand (beheiztes Schwimmbad auf dem Dach – Blick über die Stadt inklusive) und das The Guesthouse Vienna (direkt neben der “Albertina” – aktuell mit der fantastischen Claude Monet Ausstellung). Ein super-exklusives (Gabel) Frühstück gibt es im Park Hyatt Vienna. Derweil das Ritz Carlton ab Dezember zu einem der höchstgelegenen Weihnachtsmärkte einlädt … nämlich auf seine Dachterrasse. Wenn ihr aber etwas absolut Einmaliges erleben wollt: Wir haben einen Tipp, den wir nur auf besondere Anfrage teilen. Schickt uns gerne eine E-Mail! Die Wiener Küche ist weltberühmt. Wie überall beginnt der Tag mit einem guten Frühstück – wir haben unsere Lieblingscafés hier zusammengefasst. Ein typisch Wiener Mittagessen findet man unter anderem im Amerling Beisl oder beim Servitenwirt. Nicht zu vergessen sind die Sachertorte im Hotel Sacher und der Apfelstrudel im Café Korb. Und dann die vielen tollen kleinen Restaurants am Naschmarkt, Brunnenmarkt oder Kamelitermarkt – auf keinen Fall verpassen! Ein Drink am (späten) Abend darf natürlich an einem Wien-Wochenende ebenfalls nicht fehlen. Besonders hinweisen möchten wir auf Door 7 (der Ort für Gin-Liebhaber), die Roberto American Bar (psssssssst: Basil Smah!! ), das Do & Co (Lage – direkt gegenüber dem Stephansdom) sowie Das Loft im Sofitel Vienna Hotel (im 18. Stock hoch über den Dächern der Stadt). Neben Schlafen, Essen und Trinken… was sollte man noch wissen? Günstig in die Oper kommt man (Glück gehört dazu! ), wenn man sich rechtzeitig vor Aufführungsbeginn für einen Stehplatz anstellt. Zu den beliebtesten Märkten gehören der Karmelitermarkt (Früchte/Gemüse), der Brunnenmarkt (das echte Wien!) oder – am Samstag – der Flohmarkt auf dem Naschmarkt (um 5 Uhr früh geht’s los!). Ab Schwedenplatz fährt eine spezielle Tram rund um den Ring – mit vielen interessanten historischen Informationen. Im Julius Meinl am Graben gibt es nicht nur einen exzellenten Kaffee (im 1. Stock, mit tollem Blick über den Graben), sondern es verbirgt sich in diesem alten, klassischen Haus ein ganz speziell eingerichteter Supermarkt. Mit Kindern geht man in den Prater (und geniesst nebenan im Schweizerhaus die berühmte “Stelze”) oder in den Zoo. Ja, und dann ist man auch schon im Park Schönbrunn … und beim großartigen Schloss und der prachtvollen Gloriette. Wir wünschen euch viel Spass in Wien. Und kommt wieder – es lohnt sich immer wieder aufs Neue! Sunday Thoughts: Brauchen wir ein Wunder, um diese Welt farbig zu machen?